Should your home be damaged by issues like flooding or roof leaks, get in touch with the expert technicians from 911 Restoration Miami right away so you can get a fresh start! 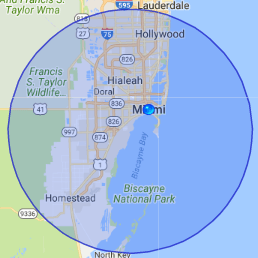 When your property becomes overrun by floodwater, you can immediately call us and our water damage Miami staff will be at your home within 45 minutes no matter what time you call. We understand the important of acting quickly when it comes to water-related disasters, which is why when you need our help, we can be there so quickly to get right to work on solving the issue. Our technicians pride ourselves on our quick arrival time, as well as our around the clock accessibility. Our water damage Miami agents are available 24/7/365, because we never want you to have to wait long for assistance when you are dealing with a water disaster. Our water damage Miami pros implement same day services on all water related emergencies to give your home the best chance of recovery completely after it has been affected by excessive moisture. Our licensed, bonded and insured crews know what it takes to get your home clean and dry after any type of water-based disaster. When moisture sits on the surfaces of the home for too long it can cause many residual issues to occur, with mold, rot and structural damage being some of the most prominent. We want to do whatever it takes to make sure no permanent damage sets in, so you can count on us around the clock. By performing a free inspection, we ensure that both the homeowner and the repair workers are on the same page with the work that needs to be conducted on the property. This helps prevent as many surprises as we can once we begin the work. We perform these visual assessments of your property so that our water damage Miami technicians can pinpoint the source of the problem and recommend the right solutions. We work with IICRC certified technicians who will provide you with only the highest quality of water damage restoration. Expect our water damage Miami professionals to restore every nook and cranny of your home like crawlspaces and attics. Water damage emergencies like floods, sewage spills, and pipe bursts can occur unexpectedly, but you can rest assured that the water damage Miami team can help whether it’s at the crack of dawn or the dead of night. Our water damage Miami specialists are available 24/7/365 to take on even the worst water emergency. Our on the day the services make sure that your home can look good as new in no time. Water damage can affect your home through various means. Our water damage restoration Miami team has nearly four decades worth of experience in dealing with all kinds. Each of those issues can lead to a lot of problems if not taken care of by experts right away. Our team will be using advanced equipment that can clean and repair any water emergency quickly and effectively. We use comprehensive techniques that allow our water damage restoration specialists repair every home in a timely manner. Our water damage restoration Miami understand that in some cases you may be displaced from your home, and we want to get your back into your living space as soon as we can. When you hire our water damage restoration Miami experts you can be sure that we always use comprehensive equipment in order to get your home dry as quickly as possible. 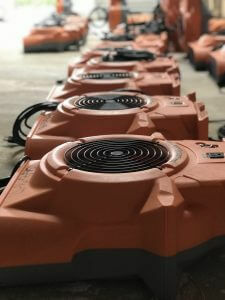 Our water damage restoration Miami team uses high powered equipment to get the living space free of all moisture. Our staff knows that by conducting a thorough cleaning after your household has been flooded by water is also very important, because our water damage restoration Miami technicians want to keep those living inside the home safe. We want you to understand that the outside water invading the home can possibly be filled with chemicals and other toxins that could be potentially harmful upon contact. 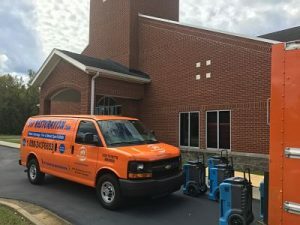 Our water damage restoration Miami agents implements comprehensive techniques that to disinfect the home, making it smell and feel fresh and clean. Our water damage restoration Miami pros want to get the job done quickly, so your life is not disrupted during the restoration process. Our water damage restoration Miami team is ready to provide your property with restorations that will ensure your home gets a fresh start, so give us a call today! Fungal infestations are a direct result of prolonged exposure to moisture, and it doesn’t take long for mold to start to set in. As a matter of fact, mold growth can start forming in less than 24 hours of exposure to moisture, but it can take as long as two weeks for any signs to be clearly visible. This is why it is so important to contact our mold removal techs the moment you notice any sign of invasive moisture or fungal growth. The best way to get rid of mold right away is by getting in touch with the mold removal Miami specialists from 911 Restoration as soon as possible and let us take care of any water damage that has affected your household. Not only do we want to keep your home in tact, but we want to keep you, and everyone else living inside the property, healthy. Prolonged mold spore inhalation can result in coming down with symptoms that mimic allergies, or even, in some extreme cases, respiratory issues, including asthma. Your health and well-being is the most important thing to our mold removal professionals, which is why we go to such great lengths to get rid of every trace of the substance. Our mold removal Miami team will look for the leak and evaluate the affected area. We will repair the damage right away and use our advanced drying tools to make sure the area is sufficiently dried to ensure that no fungus starts sprouting up. Should we encounter any fungal growth, our licensed, insured, and bonded mold removal Miami experts will use eco-friendly solutions that will clean the affected area without causing harm. Allow our mold removal Miami pros to take on those leaks and mold problems for you today! When black water enters your home through a toilet overflow or pipe burst, the first thing that every homeowner needs to do is keep everyone, including pets, away from the affected area. This type of disaster is known as a category 3 water incident, and needs to be handled with the utmost precision. There is no reason why any homeowner needs to begin cleanup procedures on their own, especially when they have access to your sewage backup cleanup agents at all hours of the day and night. Sewage spills are dangerous situations that can be harmful to both your property and your health, because black water carries various kinds of bacteria that can be difficult to thoroughly clean without the right equipment. Fortunately, the sewage backup Miami pros from 911 Restoration are prepared and equipped to perform decontamination for you. Our team will be wearing hazmat gear throughout the cleanup process so we can work on the issue safely. With our advanced water extraction equipment, we can make sure that sewage is completely removed. You can also expect our sewage backup to perform the necessary restorations that will repair any damage done to your property. We will also get your home smelling fresher than ever. Our sewage backup Miami team will repair plumbing and restore walls and floors. To effectively decontaminate your home, we will apply industrial strength cleaning solutions to the affected area. This will remove all traces of harmful bacteria without causing any further harm. Whenever sewage is putting your home and your health in danger, trust the sewage backup Miami experts to be there to lend you a hand. This is where 911 Restoration’s fire damage restoration Miami pros can help you out. We offer complete restoration services that will allow you and your home to get a fresh start. Our fire damage restoration Miami specialists can extract the water used to extinguish the fire, and from there we can begin with the rest of the restoration process. Once the area is cleared, our fire damage restoration Miami pros will begin refurbishing the affected area which includes the furniture, cabinets, walls, and the floor. When you hire us to restore your home, you can relax with the peace of mind knowing that we will get you back your household that you know and love in no time! With help from 911 Restoration’s disaster restoration Miami experts, we can take care of all the restorations necessary to make your home look better than new. We offer comprehensive repairs that will remove flood water and restore any damaged sections. Our skills also make us qualified to restore disasters that are not water-based, such as fire damage, structural issues and a hurricane incident that may have negatively affected your living space. Our team has many years of experience in the home restoration industry, so our disaster restoration Miami staff knows that when water invades your property, it has the ability to cause extensive damage. Even though water can have a major impact on your home, when we arrive on the job our disaster restoration Miami techs ensure that your home remains free of all mold and other issues. 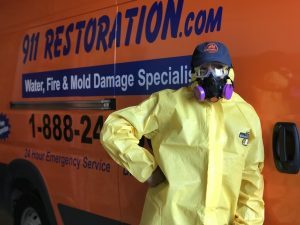 Our disaster restoration Miami experts make it our responsibility to prove our dedication to business and homeowners, so our mold removal Port Reading professionals approach every disaster situation with the knowledge and skills to mitigate the issue with total comprehension. We will make sure the roof is sufficiently repaired, the walls and floors are refurbished, and any flooded areas are thoroughly dried and decontaminated. Going the extra mile to make sure your home is sturdy, clean and safe is our main priority, and when you hire our disaster restoration professionals you can rest assure that you are in the most capable hands in the industry. Should any type of disaster wreak havoc on your home, our disaster restoration Miami experts from 911 Restoration will restore your home and give you the fresh start that you and your family deserve.